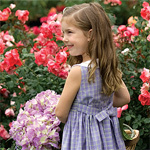 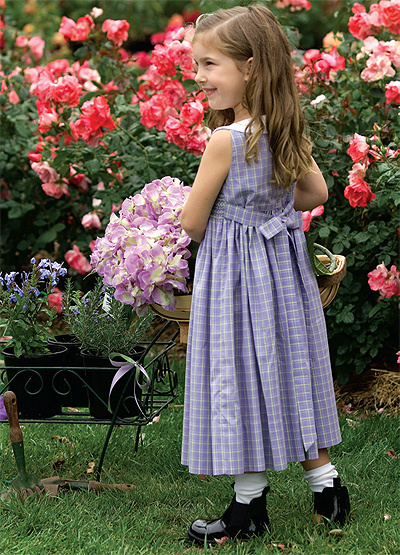 Description: The simple smocking design reflects colours from the purple and lemon plaid fabric. 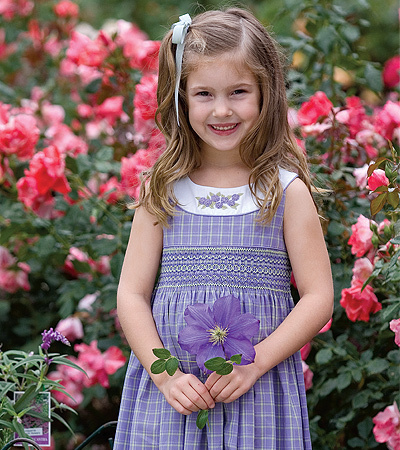 Hydrangeas embroidered on the the crisp white neckband add a touch of summer. 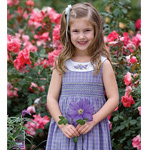 Purple mini piping defines the yoke and neckband for a smart tailored finish.